The forecast for the rest of Wednesday on the Gold Coast is mostly cloudy with a shower or two. Moderate E to SE winds, fresh at times. Min 21. 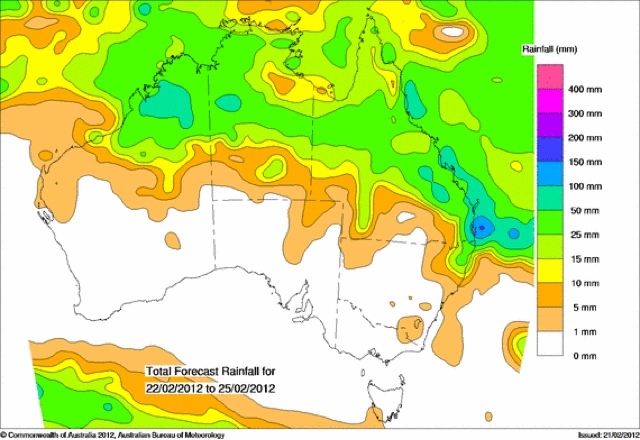 The longer term outlook from the Bureau's computer generated rainfall forecast maps show we could get around 50-150mm over Friday & Saturday combined around SE Qld - we'll just wait and see!